Take a break from the city and head to Bronx Zoo and Speed Boats Tours. Get some cultural insight at Fifth Avenue and Ellis Island. 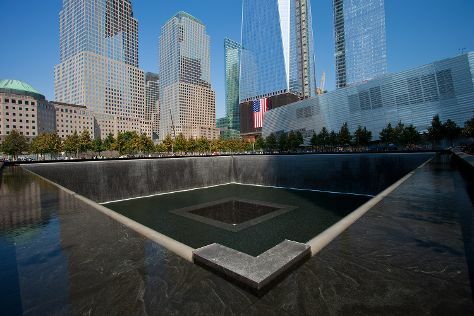 There's still lots to do: pause for some photo ops at 9/11 Memorial, explore the world behind art at The Museum of Modern Art (MoMA), make a trip to The Metropolitan Museum of Art, and admire the landmark architecture of Empire State Building. For more things to do, ratings, traveler tips, and more tourist information, use the New York City trip planning app . Toronto, Canada to New York City is an approximately 5-hour combination of flight and bus. You can also fly; or drive. Plan for a bit warmer temperatures traveling from Toronto in August, with highs in New York City at 84°F and lows at 71°F. Wrap up your sightseeing by early afternoon on the 20th (Tue) to allow enough time to travel back home.